Home Article	Overview: Surface and Surface clone devices! Overview: Surface and Surface clone devices! I really like what Microsoft has created with Surface and I am highly impressed by the Surface Pro 3 (review will come soon!) and the included Surface Pen. Furthermore, I like that more and more OEMs announce their own versions of Surface-like devices because it’s just nice to have more devices to choose from. On the other hand, this choice makes it hard to keep up with every single announcement of such a device. That’s why I want to list as many of them as possible in this post. For the sake of completeness, I have included the Microsoft Surface and Surface Pro devices as well. Of course this list won’t be complete but it should give you a nice overview of those 2-in-1s from well-known brands. The Pro 4 is Microsoft’s latest tablet in the 12-inch range that can replace your laptop. In terms of design Microsoft hasn’t changed a lot compared to the Pro 3 but they added some nice new additions – most importantly a third camera for Windows Hello face recognition. I was really impressed with Windows Hello when I got my hands on with the Surface Pro 4. Other improvements include new Intel Skylake processors ranging from the Core M3 to the Core i7. Furthermore, there are now more options regarding RAM and storage. Additionally Microsoft improved the Type Cover by spacing out the keys and increasing the size of the touchpad by 40 %. The Surface Pen now has an eraser on the top and feature 1024 levels of pressure sensitivity. Even though the successor is already available, the Pro 3 is still a very attractive device. 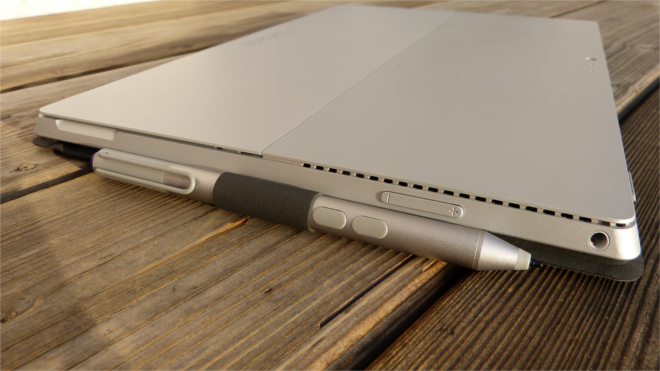 Especially since you can get the new Surface Pen and the improved Type Cover for it as well. Moreover, there are some great discounts on the device. Please read my review (coming soon) if you want to know more about the Surface Pro 3. Surface 3 was Microsoft’s first non-Pro tablet that came with the “full” version of Windows instead of Windows RT. Furthermore, it supports the Surface Pen but unlike with the Pro-version of the device the pen isn’t included in the package. The ultraportable Surface was one of the first (if not the first) device with the new Atom X7 “Cherrytrail” processor and until now there are still not many devices from other OEMs which come with the new Atom generation. Surface 3 is also a great option for those who want a Surface with LTE – this version just recently got available in Switzerland. Read more about our experiences with the device in this article from Valentin. 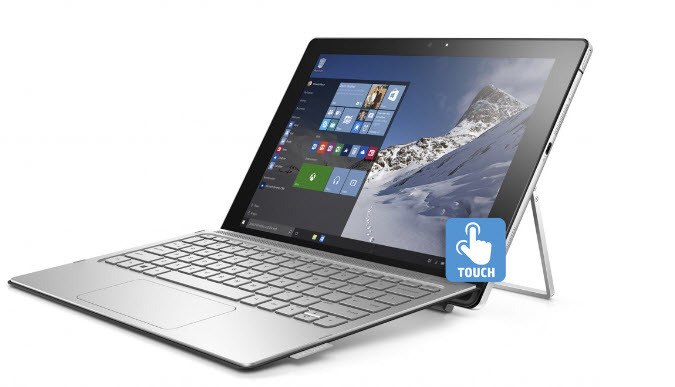 The HP Spectre X2 has some special features which other Surface (clone) devices don’t have: For instance, the keyboard is very similar to a normal laptop and HP integrated an additional speaker into the keyboard base. Furthermore, to open the kickstand you have to push a button – I could imagine that this gets annoying after a while. Otherwise, the HP Spectre X2 12 is quite similar to other devices. This device is very similar to the Spectre X2 in terms of looks although it seems like HP didn’t integrate the button to open the kickstand. While the Spectre X2 is targeted at the consumer market, the Elite X2 1012’s focus is on the business market and therefore has some business-targeted optimizations regarding security. Specifications aren’t clear at the moment of writing. The 12” Lenovo Miix 700 is probably the most obvious Surface (Pro 3) clone that has been announced so far. Lenovo showed the device on IFA 2015 and it already caught my interest as you can read in my IFA 2015 round up article. Not only does the Lenovo Miix 700 have the same display size and same resolution as the Surface Pro 3 but also does it feature the exact same looking kickstand – despite the watchband design, which Lenovo already used on the Yoga Pro 3. Like HP, Lenovo includes the keyboard in the package. Therefore, the optional Wacom pen has to be bought separately. While the HP Spectre X2 is already available in some regions I haven’t found listings of the Miix 700 so far – although Lenovo once listed it as sold out on their website (now it’s back on “coming soon”). Additionally, some version will have an Intel Realsense camera on the back. 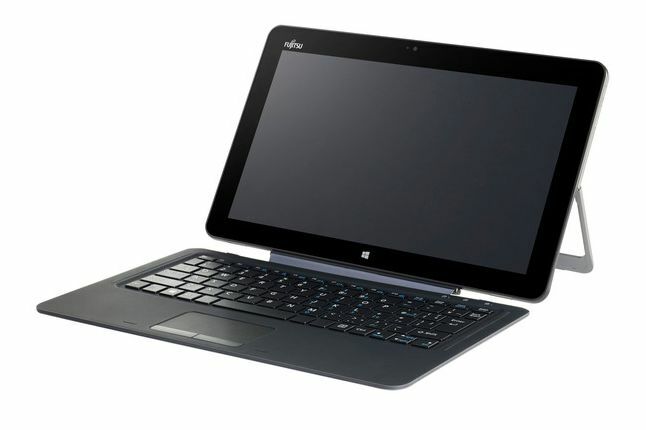 One of the latest Surface “clones” is the Stylistic R726 from Fujitsu. 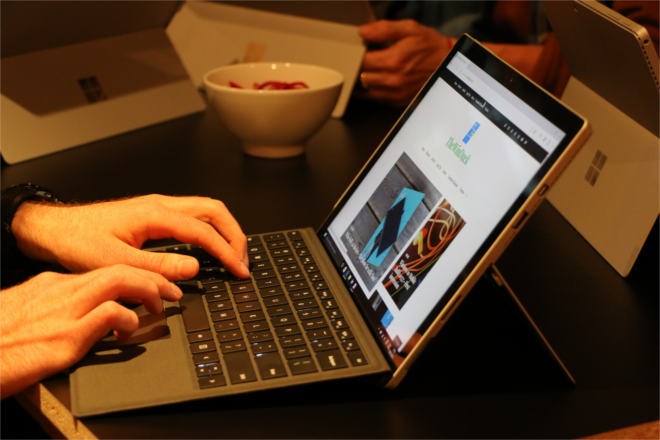 With a diagonal of 12.5” the display of the device is slightly bigger than the one of the Surface Pro 4. Like the Spectre X2 and Elite X2, the Stylistic R726 has a U-shaped kickstand. The magnetically attachable keyboard seems to be included, while pricing hasn’t been revealed so far. So those are the Surface and Surface-like devices which I think are very interesting. Probably, there more of them out there so please let us know if you have found any device which we should include in this overview!